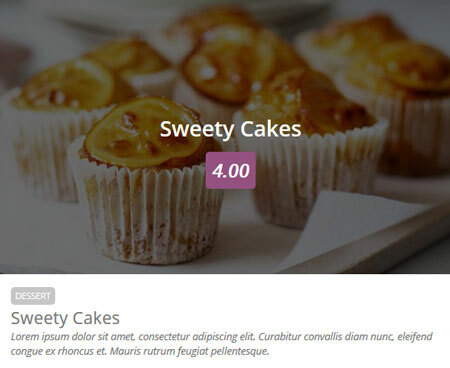 WP Ultimate Recipe: lets you add recipes to your posts and pages in an attractive fashion. It is fully responsive and lets you display ingredients, course types, cuisines and ratings on your site. Cooked: comes with a drag & drop recipe builder, ratings, reviews, and various recipe layouts. It allows you to accept recipe submissions. 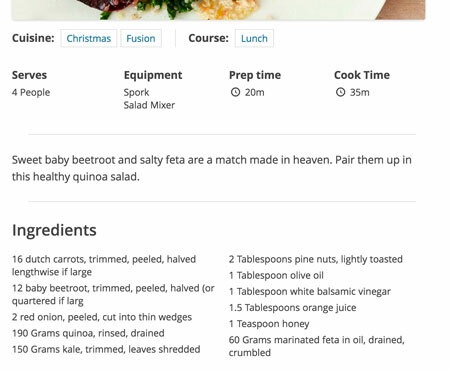 Zip Recipes: adds SEO-frirendly recipes to your website. 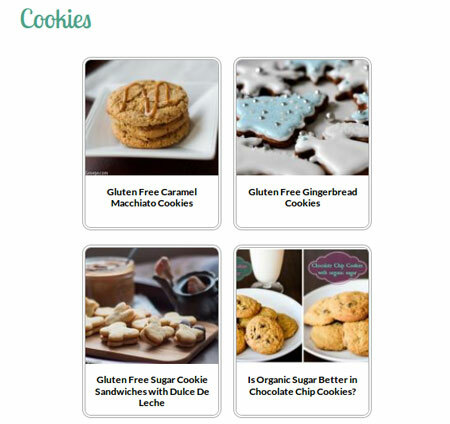 Users can add images, cut & paste ingredients, add links, and do a whole lot more. Foodpress: allows you to create beautiful restaurant menus for your site. You can categorize items by meal and dish types. Lets you customize icons and colors easily. 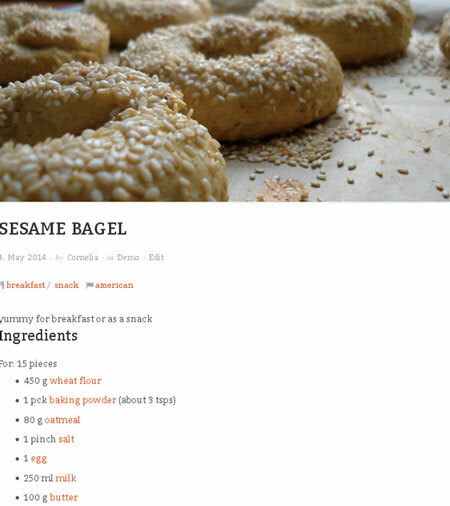 RecipePress reloaded: it adds a recipe post type to your site. It lets you organize your recipes in categories, courses, and cuisines. Recipe Hero: another plugin for adding and displaying recipes on your WordPress site. 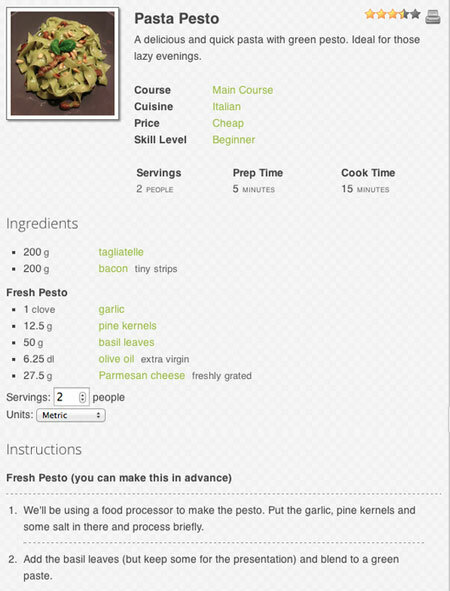 You can include cooking time, ingredients, equipment list, and other info on your pages. 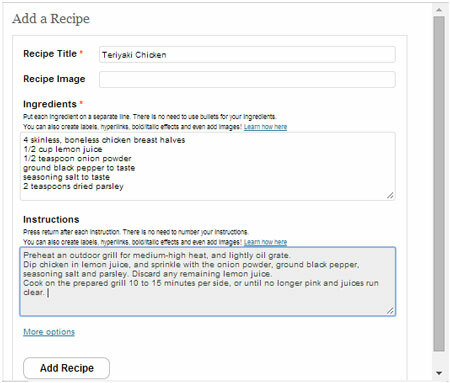 Simmer: this recipe plugin allows you to publish new recipes quickly. 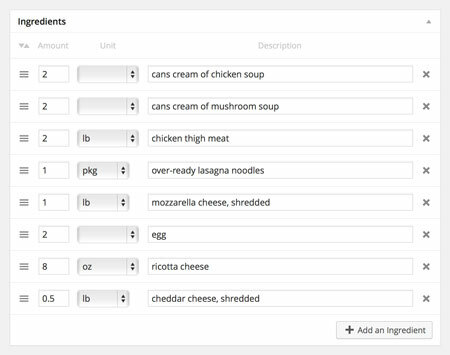 Lets you bulk-add ingredients and instructions in text format. This is a fully responsive plugin. 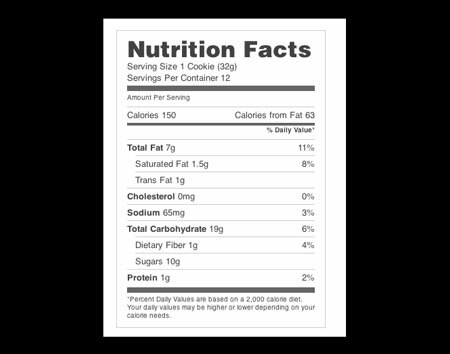 Nutrition Facts Label: as the name suggests, this plugin adds nutrition facts labels to your recipes. 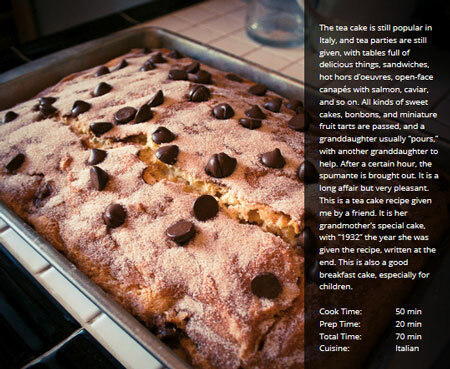 Visual Recipe Index: creates an automatically updating recipe index on your site. It uses the featured image or the first image of the post. 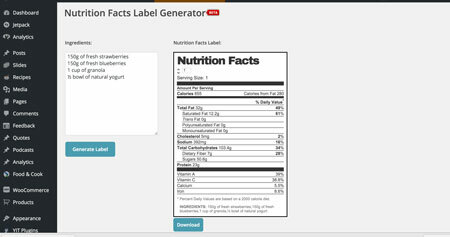 Easy Nutrition Facts Label: this plugin enables you to add nutrition fact labels to your posts and pages. It comes with a simple shortcode to make your life easier. 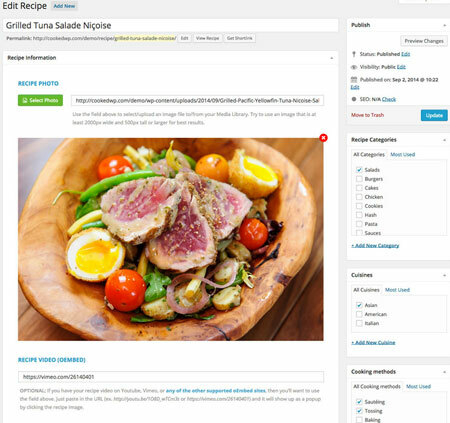 Have you found better recipe plugins? Please share them here.